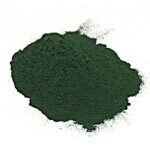 Spirulina powder is comprised of blue-green algae, which is only found in open bodies of water. Like other similar supplements, the benefits of spirulina cannot be definitively supported with medical evidence alone. However, spirulina has been used within many cultures over the past few thousand years because of its reputed health benefits.